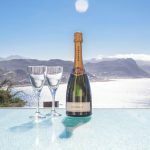 Accommodation at El Mirador is self-catering luxury. 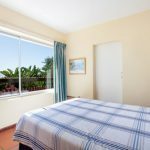 The apartment is tastefully furnished and comprises two double bedrooms en-suite plus a further double bed with it’s own toilet and wash basin. The unit has two living rooms for entertaining with an open-plan kitchen. The unit accommodates six persons and you will never share with anyone else even if you are just one couple. 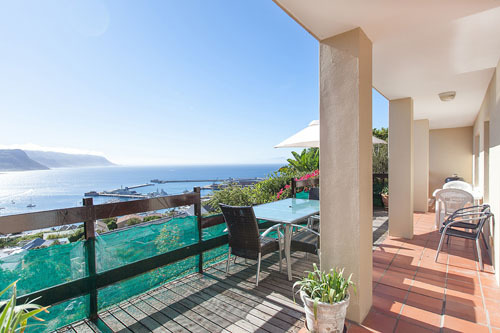 Guests have an astounding view over False Bay with Simon’s Town yacht basin and the naval harbour in the foreground. Furthermore, an expansive balcony provides the ideal outdoor-living lifestyle which the famous South African weather so generously permits. Placed high above Simon’s Town with a fantastic view across False Bay. 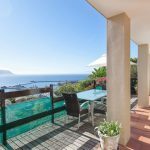 View the home of breeding Southern Right Whales from the balcony of this prestigious accommodation. Visit Cape Point Nature Park. Bathe at the very special Boulders Beach and swim with the penguins. All within easy distance.